To me, these elements make the perfect meal for me: sweet (sweet potato, pumpkin), fresh (herbs or green veg), spice (normally fresh chilli or flakes), salty (olives, feta, capers, Himalayan pink salt). Generally speaking I enjoy high fat meals, with minimal processed foods in my diet. 2. Cook the quinoa to packet instructions. I think the absorption method is easiest. 3. 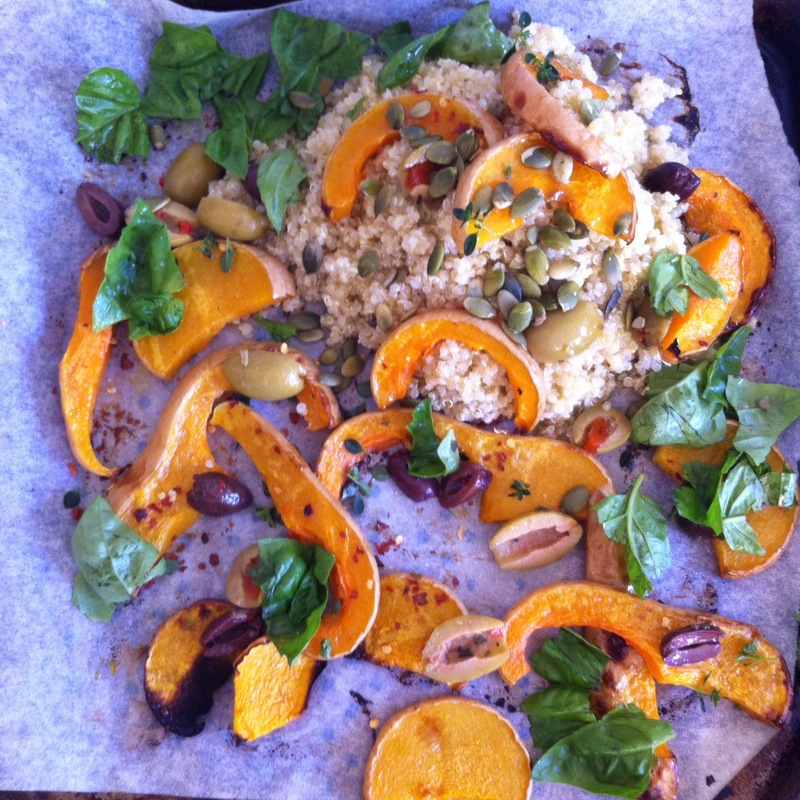 Toss the quinoa with pumpkin, tear fresh basil & sprinkle thyme. 4. The dressing is optional – use your desired combination of olive oil, apple cider vinegar, chilli & Himalayan pink salt, to your personal taste. This entry was posted in Recipe and tagged glutenfree, pumpkin, Quinoa, vegetarian by 6 Clean Ingredients. Bookmark the permalink.